Content .. 33 34 35 36 ..
1. Release visor from clip. 2. Remove 3 visor retaining screws. 3. Disconnect visor lamp multiplug. 6. Remove screw, remove clip. 1. Remove 3 screws securing front tread plate. 2. Remove 2 screws securing rear tread plate. 3. Remove trim stud securing rear of sill finisher. 4. Release 8 clips securing finisher to sill. 6. Renew clips as necessary. 1. Remove both ’E’ post finishers. LH side load space trim. Remove panel. 4. 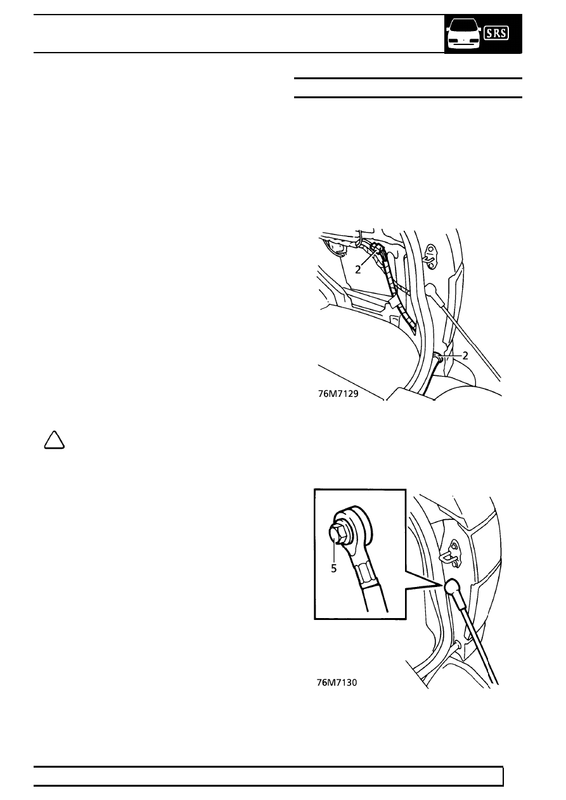 Locate rear screen washer non-return valve. Disconnect tailgate feed tube from valve. 5. Attach draw string to tube to aid re-assembly. 14. With assistance, connect gas struts to tailgate. 15. 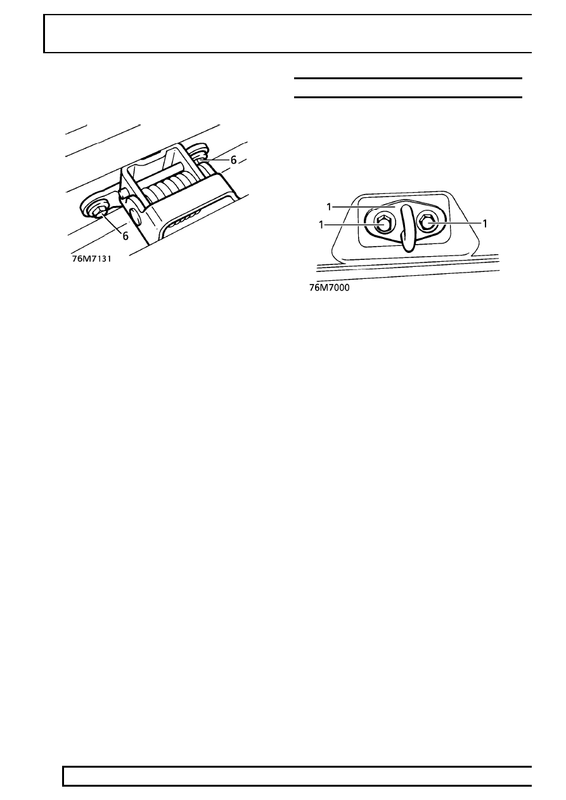 Remove protective tape from roof panel. 17. Connect tube to non-return valve. panel. Connect to body harness. 22. Fit both ’E’ post finishers. 23. Check alignment of lower tailgate. hinges on tailgate or body. adjusting position of hinges on body. post. Pull harness from body. 3. Fit protection under tailgate. 5. 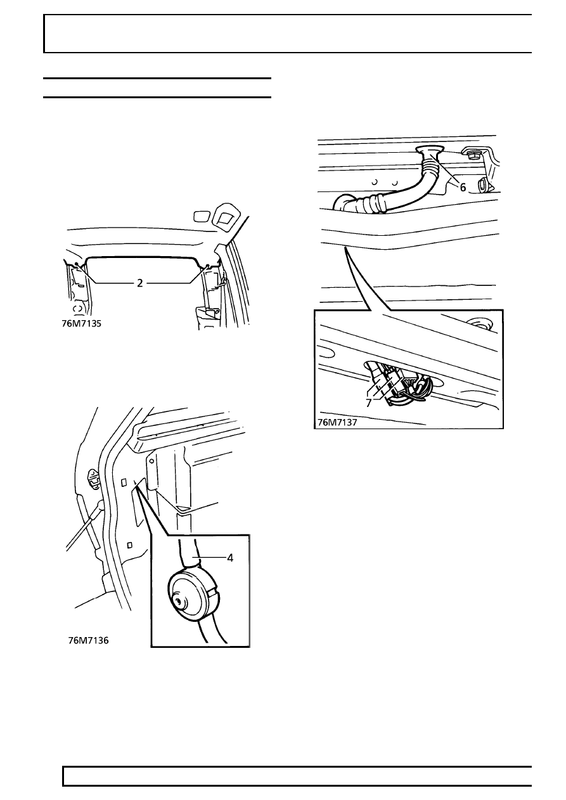 Remove bolt securing each check strap to body. Collect spacer and fibre sealing washer. 7. With assistance, position tailgate to body. 11. Fit harness grommet to ’E’ post. 12. Fit parcel tray support trim. 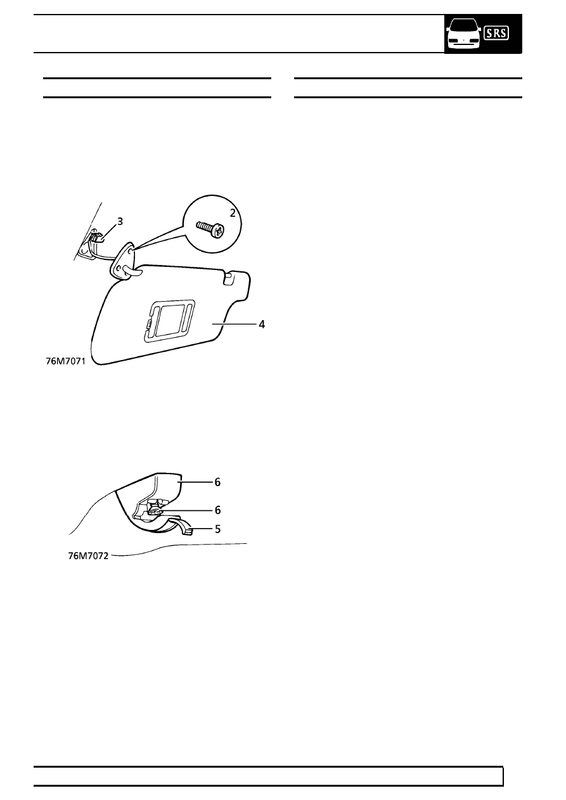 adjusting position of hinge to tailgate. and inboard/outboard position of each striker. Tighten striker bolts. Check for correct latching. 1. Remove 2 bolts securing striker. Remove striker. 3. Close tailgate. Check alignment.